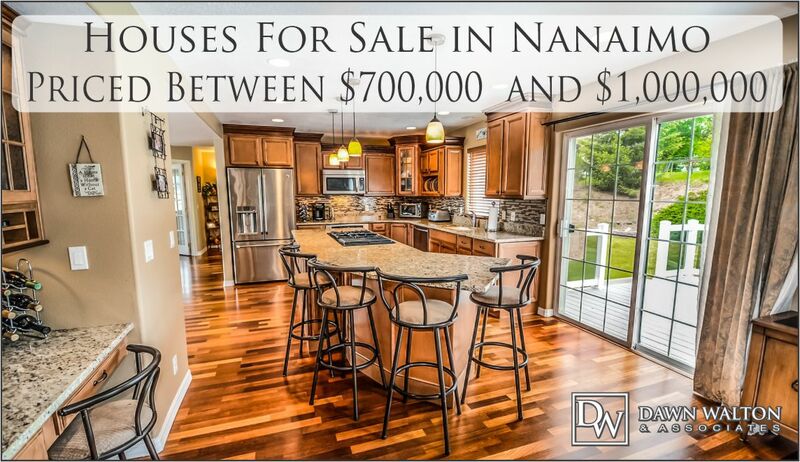 There are currently 112 listings of single family, priced between $700,000 and $1,000,000 in Nanaimo. 49 of those listings are in the North Nanaimo area. One listing at 1421 Princess Royal Ave (MLS #448285) is R8 zoned providing a great opportunity for a possible multi family developement. 47 of these mls listings in the Nanaimo area are listed as having additional accomodations which can include secondary suites or carriage houses. There are 45 additional listings withing this price range in the areas of Parksville, Nanoose and Qualicum Beach. See below for a list of homes within this price range in the Nanaimo area.